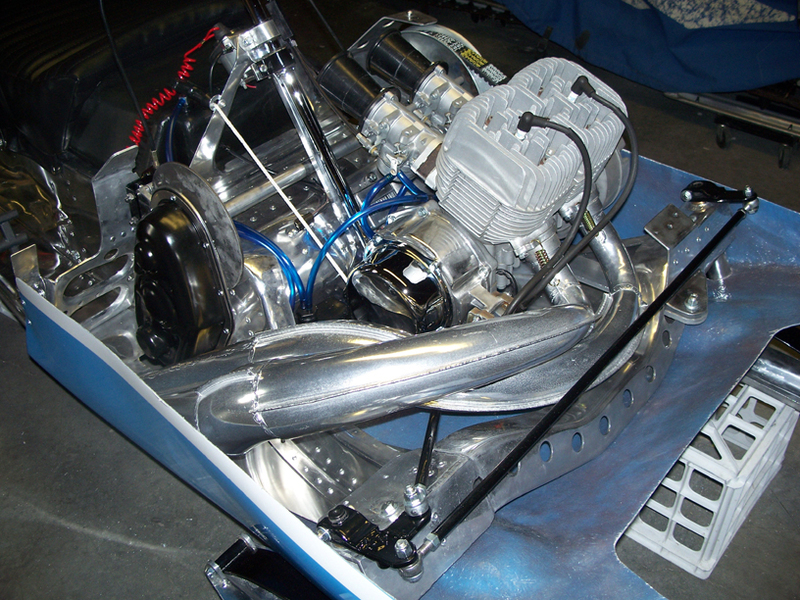 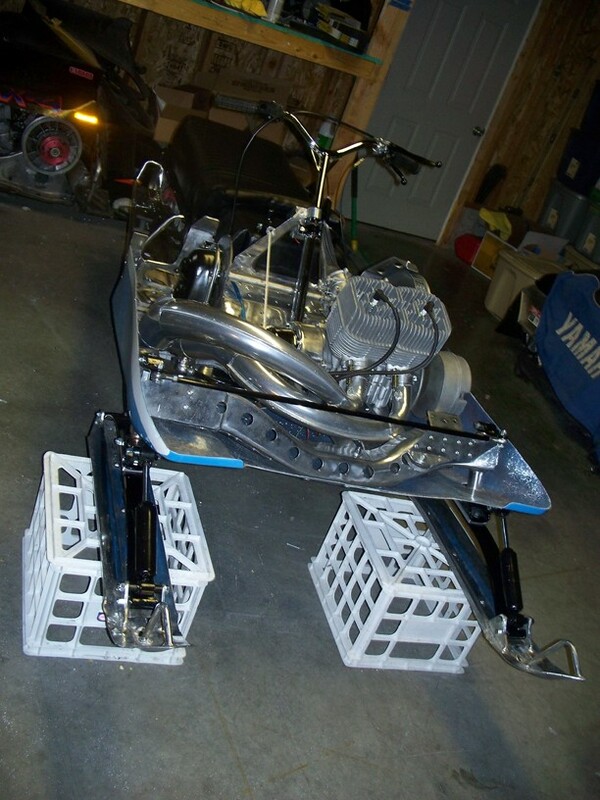 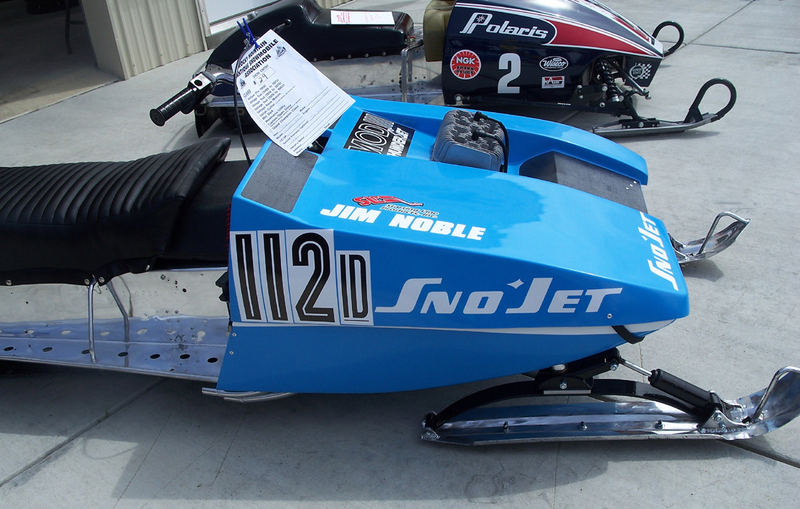 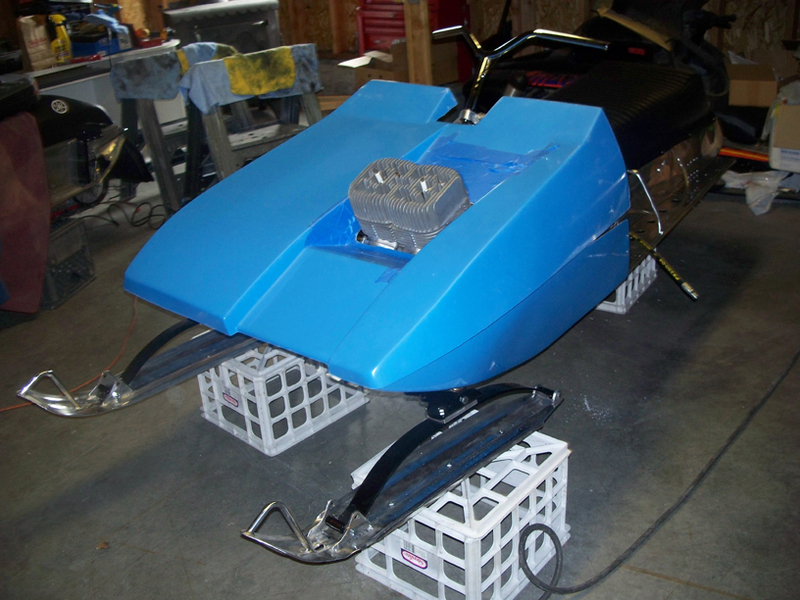 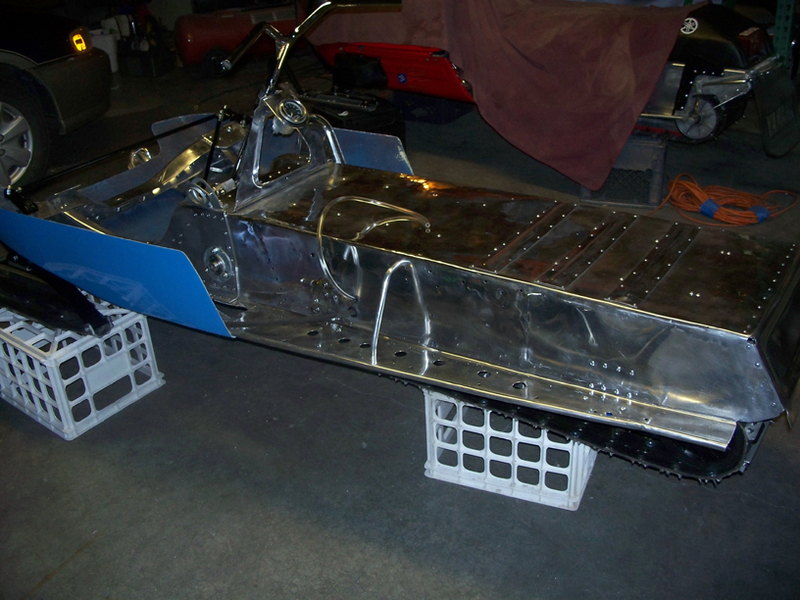 This sled was owned and raced by Jim Noble, starting line products founder. 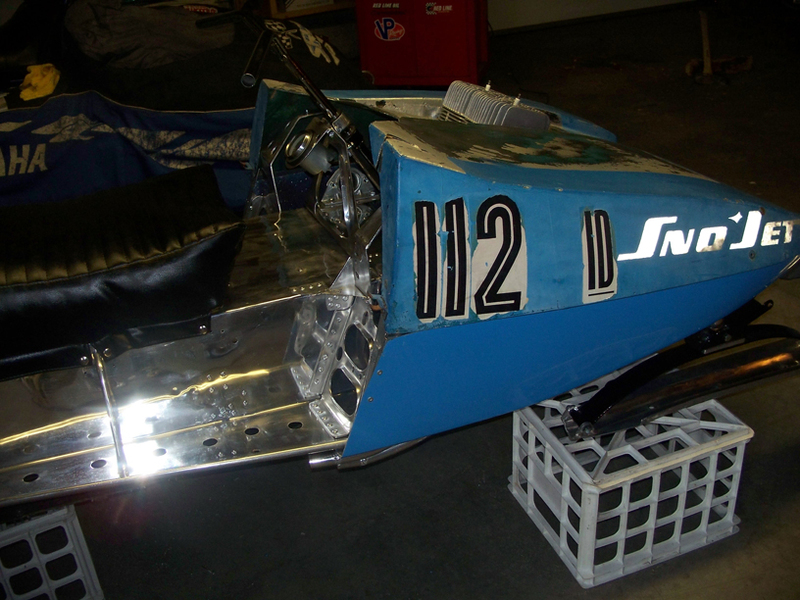 It was used for oval racing. 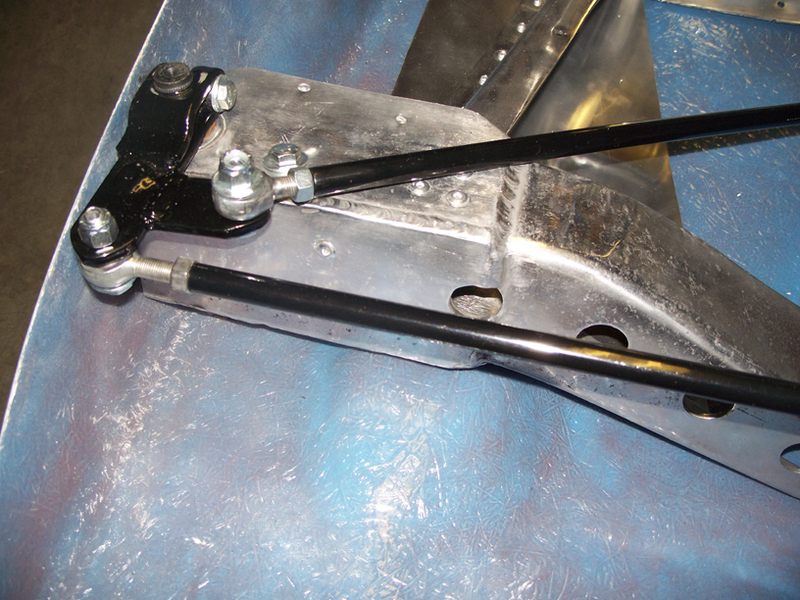 He widened one side of the front end. 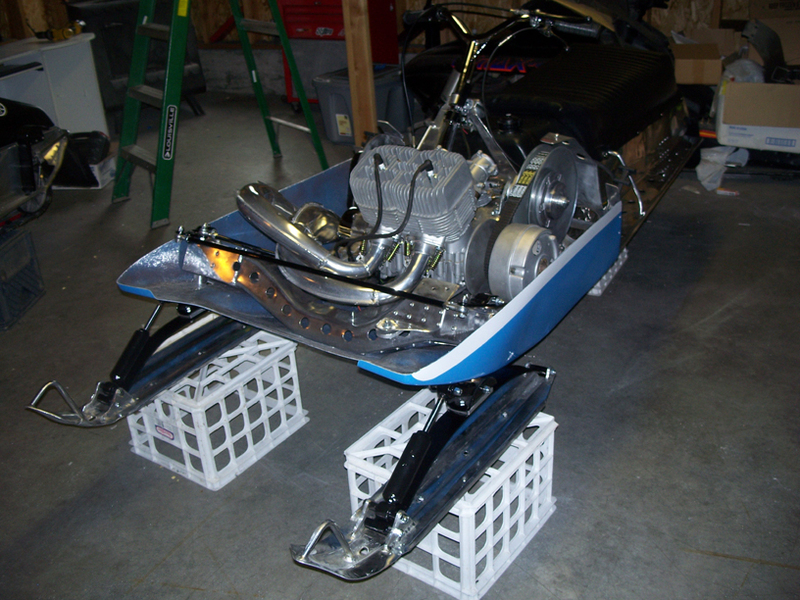 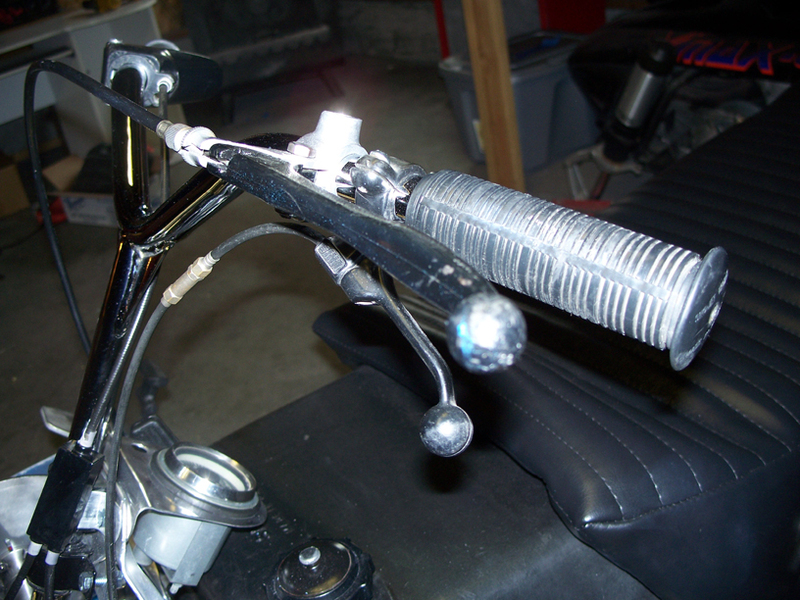 The front end and rear suspension were done by Jim Noble at SLP back around 73. 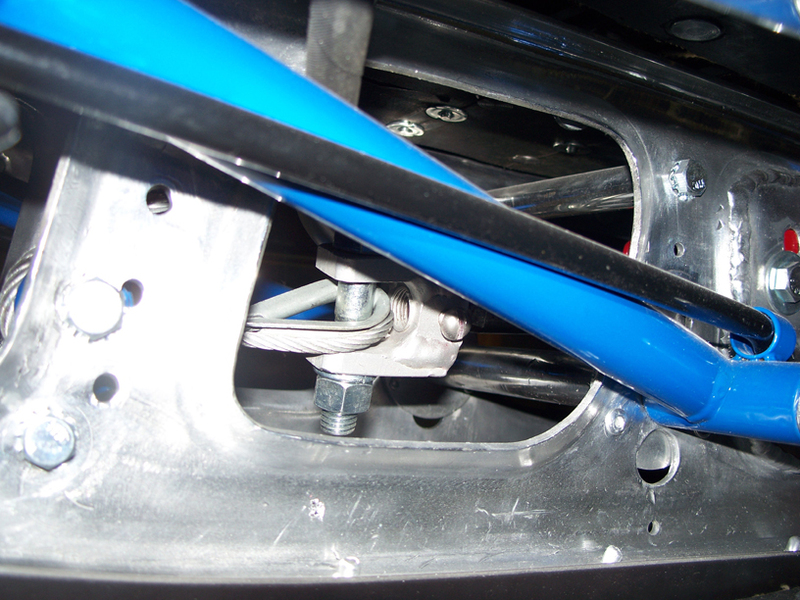 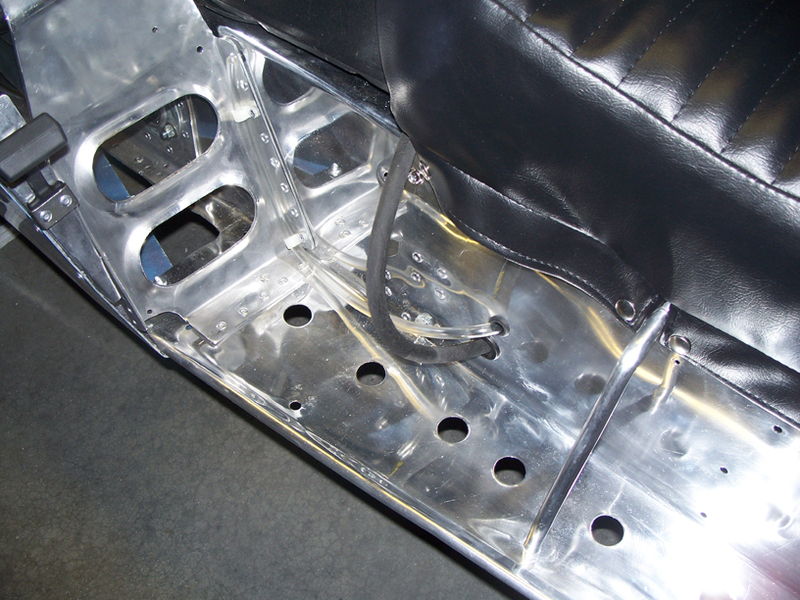 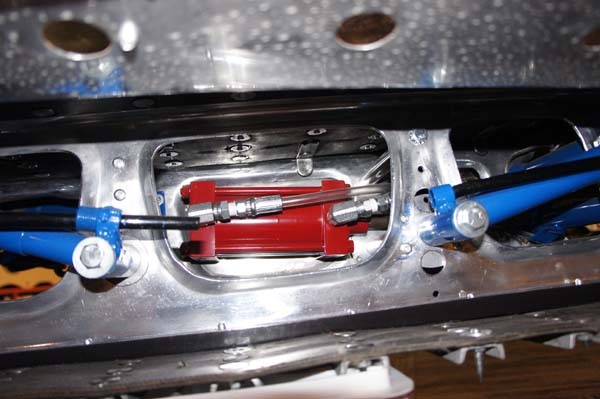 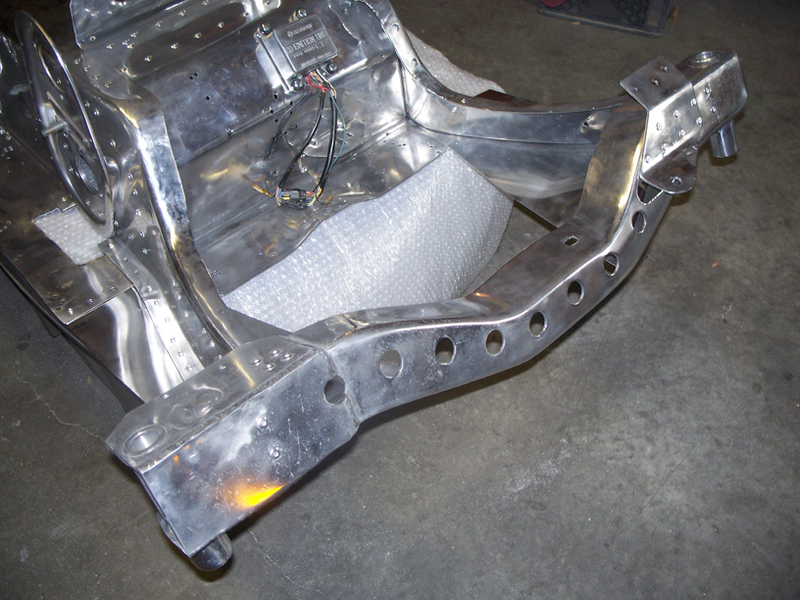 The polished chassis is something Tony added, when he got the machine the tunnel was painted silver and the left side was worn all the way through from oval racing. 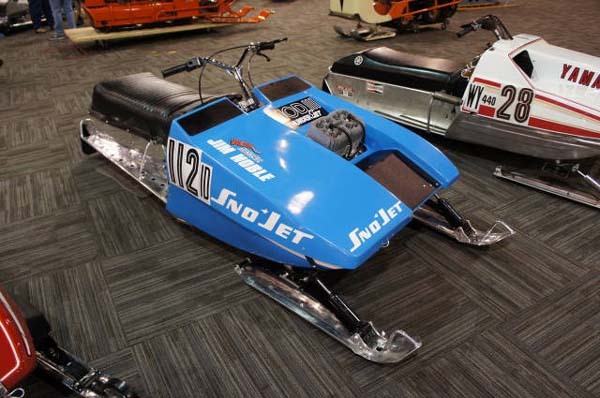 The story says that afer Noble raced the sled, the machine went to Utah (moonlight racing) and drag raced before it went to Montana then to Tony. 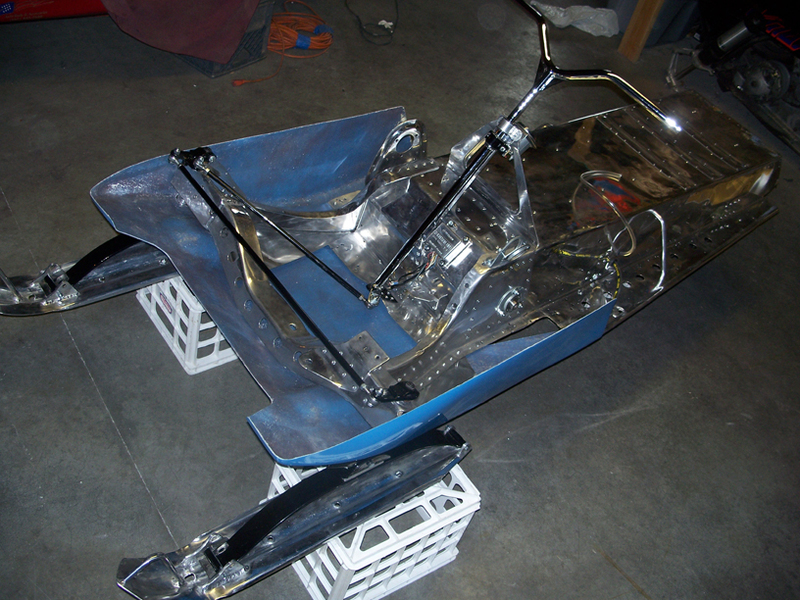 The tunnel repair shown below was done by Jon Gavin.